Winchester Venice There are 5 products. 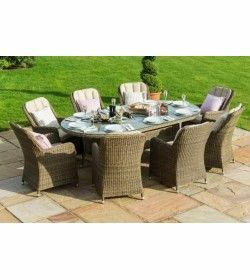 Now with a new ice Bucket Oval Dining set with Venice Chairs and Lazy Susan & an option of an oval shaped dining table compared with the rounded table found in the ever popular 8 seat rounded set in this range. 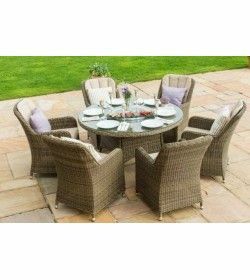 PU rattan is eco-friendly. 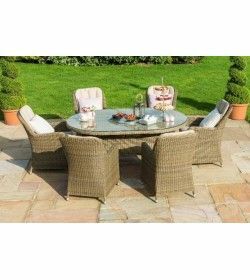 Wonderful styles can be created by using PU rattan. 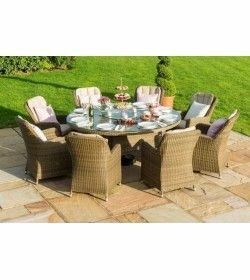 PU rattan comes with a lot of qualities such as UV resistance and durability. 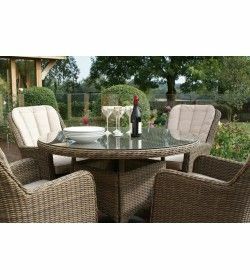 PU rattan furniture is ideal for people living in the UK and other European countries. provide UV protection to ensure they don’t fade in sunlight, resulting in years of enjoyment. our cushions can be machine washed, we recommend you wash your covers at a low-temperature wash, around 30ºc. In addition, we strongly recommend not dry your cushions on a radiator or tumble dry. This will cause the cushion cases to shrink. Aveiro, Evora, Sintra, Obidos, Porto & North, Coimbra & Central, Alentejo, Lisbon, Algarve, Madeira, Azores.